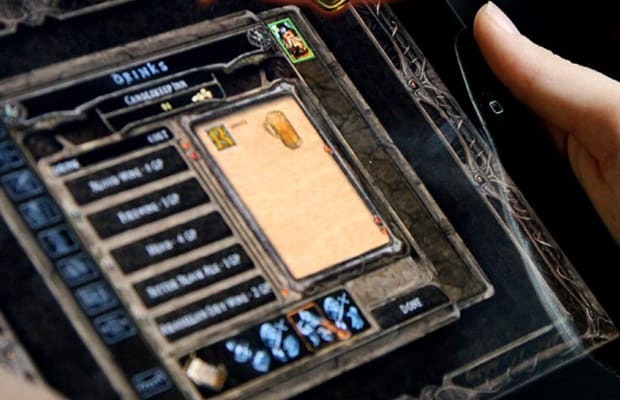 Baldur&apos;s Gate: Enhanced Edition is an upgraded version of the 14-year-old classic, and while it was obvious that the game would be coming to PC, the iPad was low on our list of predictions for other new platforms. Apparently we&apos;re just dumb, because that&apos;s exactly where the game is headed. It&apos;ll run on an improved version of the Infinity Engine and include all original content, plus the Tales of the Sword Coast expansion and a brand new adventure and party member. And it&apos;ll look fantastic on the new iPad&apos;s gorgeous screen, we&apos;re guessing. No word yet on whether the sequel is also coming to iPad, though the chances seem good. And there&apos;s no need to worry—both are still definitely coming to PC. Check out the official site for more info. It looks like the only thing you will have to worry about when you&apos;re playing Baldur&apos;s Gate on the iPad is the device&apos;s own soaring internal temperature. Burn! Let us know whether you&apos;ll be playing the PC or the iPad version (or both!) when they come out this summer in the comments or on Twitter.